Brothers Brandon and Brian Lunsford are no strangers to incredible growth. Ten years after they acquired Inspect-All Services from their father in 2006, the company has grown by 3,000 percent. 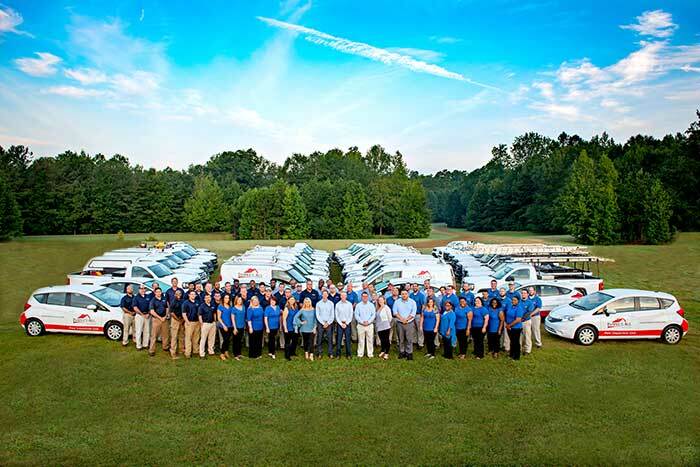 The hard work by the Atlanta, Ga.-based pest management company has not gone unnoticed. Inspect-all Services landed on the Inc. 5000 list of America’s Fastest-Growing Private Companies the past three years in a row. How do Brandon, co-owner and CEO, and Brian, co-owner and president, do it? The Inspect-All Services team has grown over the years. Inspect-All Services provides termite, pest and wildlife control, as well as home inspection services for real estate transactions, lawn care and other home services to customers in the Atlanta, GA and Jacksonville, FL metropolitan areas. The company, which added nearly 100 employees over the past decade or so, improved its hiring process. The company offers good benefits, including health insurance and company matching 401(k), according to Brandon. Management constantly reviews compensation for existing employees, and finds ways — such as bonuses and commissions — for workers to increase their pay. “We do pre-hire job shadowing, are honest during the interview process about any potential ‘negatives’ to working in a position — like high stress or accountability, and are upfront about conducting extensive background and motor vehicle report checks,” Brandon says. As for others who hope to achieve a similar level of success, Brandon has some advice.